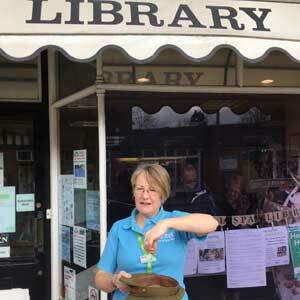 This month’s On the Ration Lottery was drawn by Deborah, Librarian at Woodhall Spa Library a friendly resource for all the community. Joining is free, all you need is ID so join today. Winners, as always, notified by post. Remember you can use your £75 worth of vouchers at many places in Woodhall Spa so give yourself a well deserved treat. We have a few available numbers for the Lottery left so why not join us and support the 2019 Festival ? 3 prizes a month must be won. Simply message us for details. 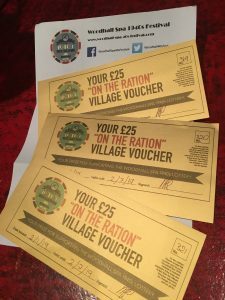 This month’s On the Ration Lottery was drawn by the lovely staff at Reg Archer’s Fish and Chip Shop in Woodhall Spa. Remember you can use your £75 worth of vouchers at many places in Woodhall Spa, including of course Archers Fish and Chips so give yourself a well deserved treat. We still have a few available numbers for the Lottery left so why not join us and support the 2019 Festival ? WE EXPECT THE ONLINE BOOKING SYSTEM TO BE LIVE LATER THIS MONTH. This is just to update you and plans are yet to be finalised about parking…. You will be able to pre book your space on line and pay just £7.50 per car for parking and the bus rides into and out of Woodhall. Pay on the day: £10 (cash only). We have a dedicated disabled car park – HALIFAX Disabled Car Park. This car park is nearest to the village centre. There are also spaces for disabled visitors at SPITFIRE car park. These spaces are alongside the Park & Ride bus pick up point. A drop off point, for disabled passengers is located on Stanhope Avenue in the centre of Woodhall just next to The Inn. NORTON Motorbike Park is situated on Tattershall Road on the southern edge of the village and is for motorbikes only. It is a short walk to the centre of Woodhall from this motorbike parking location. Sorry dogs are NOT allowed on the park & ride buses. This car park is to the NORTH of Woodhall Spa and for visitors approaching from the North: Stixwould, Bardney, Bucknall, etc. This car park is to the SOUTH of Woodhall Spa and for visitors approaching from the South: Boston, Coningsby, Tattershall, etc. This car park is to the EAST of Woodhall Spa and for visitors approaching from the East: Horncastle, Louth, Grimsby, etc. This car park is to the WEST of Woodhall Spa and for visitors approaching from the West: Lincoln, Newark, Waddington, etc. Note – this car park is also suitable for disabled visitors arriving by car. Also from SPITFIRE there is a good route into Woodhall suitable for pedestrians, mobility scooters and wheelchairs. This car park is just for disabled visitors arriving by car. It is located close to the centre of Woodhall at St Hugh’s school. It is for disabled visitors arriving from all directions. This is just for motorbikes. It is for motorbikes arriving from all directions. Remember you can use your £75 worth of vouchers at many places in Woodhall Spa, so give yourself a New Years Treat. We have a few available numbers for the Lottery left so why not join us and support the 2019 Festival? Three prizes a month must be won. This month’s Lottery Winners December 2018 for the On the Ration draw was carried in front of her very festive window by Jo Creasey owner of Molly and Me. Winners,as always, notified by post. Remember you can use your £75 worth of vouchers at many places in Woodhall Spa, including Molly and Me, so why not spend them on some gorgeous gifts for the festive season ? Remember that we have a few available numbers for the Lottery so why not join us? 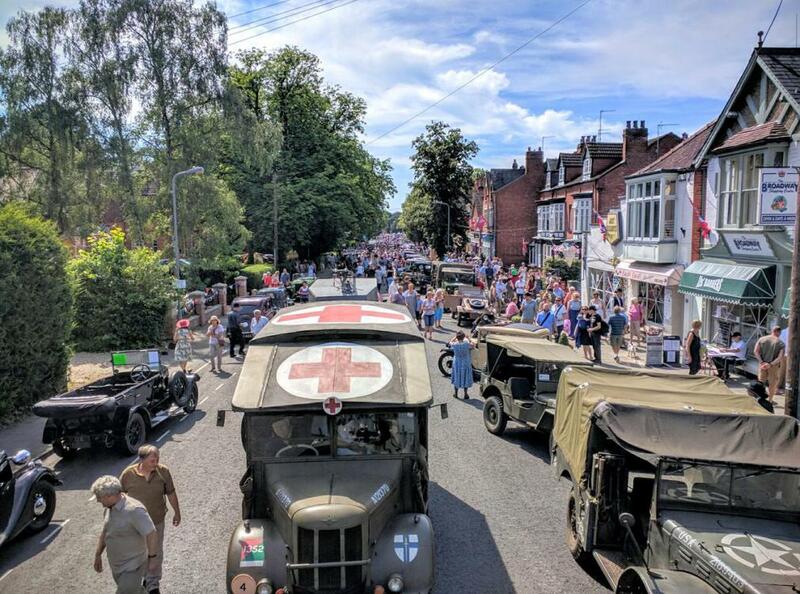 Three prizes a month must be won and you help support the Woodhall Spa 40s Festival. And finally, a very Merry Christmas to all our players. This month’s On the Ration Lottery draw was carried out on Saturday 2nd November by new business owner Tim of Stations Butchers (formerly R Hirst). Winners as always notified by post. Remember you can use your £75 worth of vouchers at many places in Woodhall Spa, including Stations, so enjoy yourselves. We now have a few available numbers for the Lottery so why not join us? Three prizes a month must be won and you help support the 40s Festival. We look forward to seeing you at the 2019 Festival.